The National Geographic GeoBee is an annual competition designed to encourage teachers to include geography in their classrooms, spark student interest in the subject, and increase public awareness about geography. Students in grades 4-8 from nearly 10,000 schools across the United States will compete this year for a chance to win college scholarships and the glory of being the National Geographic GeoBee Champion. The National Geographic GeoBee includes three levels of competition: Schools conduct a GeoBee and name a school champion; the school champion takes a proctored online qualifying test and the top 100 ranked students in each state qualify to represent their school at the state level GeoBee competition; and State champions then travel to National Geographic headquarters in Washington, D.C., to compete in the national championship. 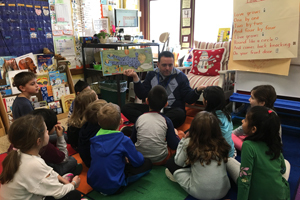 World Read Aloud Day, a global literacy experience, encourages everyone to celebrate the day by grabbing a book, finding an audience, and reading out loud. On February 1, 2019, Chappaqua's schools celebrated the joy of literacy and reflected on how our rich classroom libraries support students on their journey to increase their knowledge, informing their interests and assessing the many "windows and mirrors" literature provides them. Established in 2007 by the non-profit organization LitWorld, the purpose of World Read Aloud Day is "to celebrate the power of words and create a community of readers taking action to show the world that the right to literacy belongs to all people." On December 5-7, 2018, the District hosted members of the Tri-State Consortium for a consultancy visit where their focus was on Special Education programming. At a Board of Education meeting on January 23, 2019, Dr. Heidi McCarthy, Director of Special Education and Related Services, presented to the Board and reviewed the Tri-State Consortium Report that included commendations of District strengths and recommendations for consideration to potentially guide next steps for the District's growth and evolution. 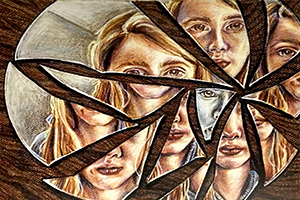 In case you weren't aware, Satori (defined literally as "enlightenment") is Horace Greeley's literary and art magazine, showcasing the writing and artistic talents of Greeley students. Although it has been in existence for about fifty years, Satori has not been published since 2015. Without an outlet through which to express themselves and enjoy the work of their peers, a group of students banded together to resuscitate the magazine. The latest edition, a "Best Of" issue spanning the years 1972-2015, commemorates the resurgence of Satori. Moving forward, the plan is to return to showcasing the work of current Greeley students while developing and refining every aspect of publishing a student-run creative journal--from soliciting and jurying submissions to graphic design and the creation of layout and page spreads using industry-standard publishing and image-editing software. Are you curious about podcasting, looking to learn a new language, or interested in improving your culinary skills? 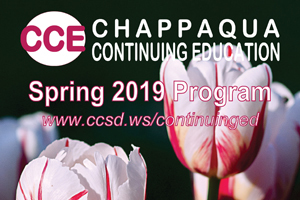 The Chappaqua Continuing Education Spring 2019 program offers over 80 courses (35 new classes and 49 returning favorites) in a wide range of categories from which to choose...with many no-commitment, one-night classes. The deadline is Friday, March 22nd at 11:59pm. 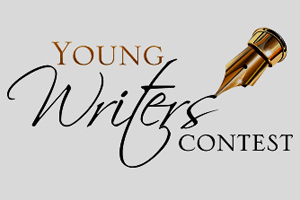 The entries will be judged by a panel of professionals in the writing and publishing industries. 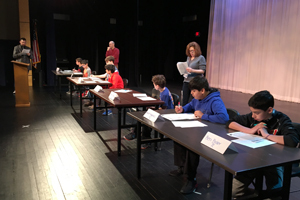 The Judges enjoy reading every entry and will look for creativity, style, originality, persuasiveness, voice, and many other elements of good writing. Judging is always tough because so much excellent work is submitted. 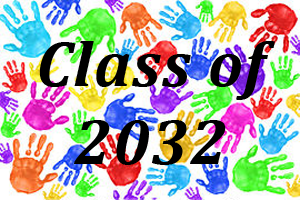 District children who will be 5 years old by December 31st of this year are eligible to begin kindergarten in the Fall of 2019. Registration packets will be mailed at the end of February to those households that may have an eligible child according to District records. To ensure that you receive a packet, please take a moment to pre-register your child by contacting Mary Marchionno, the District Registrar, at MaMarchionno@ccsd.ws or 238-7200 ext. 1007. If you are uncertain whether or not your child is pre-registered with the District Office, you can contact Mrs. Marchionno as well and she will confirm. The District's three elementary schools will be holding kindergarten registration on March 11-14, 2019, at which time a completed packet can be returned directly to the appropriate school. Section 3635 of the New York State Education Law requires that parents who seek transportation for their children to Non-Public Schools must present their request to the Board of Education. • You must be a legal resident of the Chappaqua Central School District. • Requests MUST be made no later than April 1, 2019. • A separate request must be made for each student. • A child must be five (5) years of age by December 31, 2019. • A child must be attending grade K-12 in the 2019-20 school year. • You must live within 15 miles of destination. 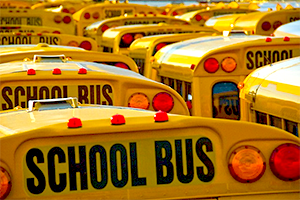 Please click HERE for the 2019-2020 Parentally Placed Out-of-District Transportation Request Form.